Rest, relaxation, wellness, sports, leisure activities of any kind -alles is possible. You have the choice! Our beach house "Dwarsloeper 278" stands at the end of the beach park Baabe and it is only about 100 meters to the kilometer-long, white sandy beach. In summer and winter you can hear the sound of the sea and enjoy the luxury of our house to the fullest. Relaxing in the sauna, then on over the dune into the Baltic Sea, back to the whirlpool and then end the day with a glass of red wine or a cup of tea in front of the crackling fire of the fireplace - so you can forget the stress of everyday life. Who or what is a Dwarsloeper? Probably every beach walker has ever met one of these up to palm-sized crabs, better known as a beach crab. Now in summer she feels very well in the National Park area. Striking is their lateral locomotion, which earned them the nickname Dwarsloeper (Querläufer). What else you should know: The house is very well suited for handicapped people. All necessary rooms (bathroom, bedroom, kitchen, living room) are on one level. The beach promenade is attached and can also be easily used with a wheelchair. A pet bookable. For booking additional pets, please contact your agency. Please note: The houses in the Strandpark are in a biosphere reserve, so barbecuing with an open fire is not allowed. The bathroom upstairs has a children's shower (1.70 high). For you is still a Senseo coffee machine and a Multifunction kitchen machine available, as well as two bicycles z. B. to get bread. A stove is in the living room and provides in the colder days for a 'feel-good climate'. Internet access via WLAN possible. Eine super Unterkunft, wir haben uns alle sehr wohlgefühlt. Daumen hoch - besser kann die Bewertung für unser Haus nicht sein. Wir sagen DANKESCHÖN, dass Sie bei uns waren. Ein sehr schönes und gemütliches Ferienhaus. Wir haben unseren Aufenthaltsehr genossen. Wir danken Ihnen, liebe Gäste, für diese nette Bewertung. Gern suchen wir gemeinsam mit Ihnen einen geeigneten Termin für Ihr Wiederkommen. Ich habe mich sehr wohl gefühlt. Bewertung. Wir freuen uns sehr, dass Sie sich in Ihrem wohlverdienten Urlaub erholen konnten. Sehr schön gelegenes Ferienhaus, der Aufenthalt hat uns sehr gut gefallen, bis auf das defekte W-Lan war alles in Ordnung. Würden dieses Haus jederzeit wieder buchen. vielen Dank für Ihre schöne Bewertung. Gerne begrüßen wir Sie auch bei Ihrem nächsten Urlaub wieder bei uns, dann auch wieder mit funktionierenden WLAN. 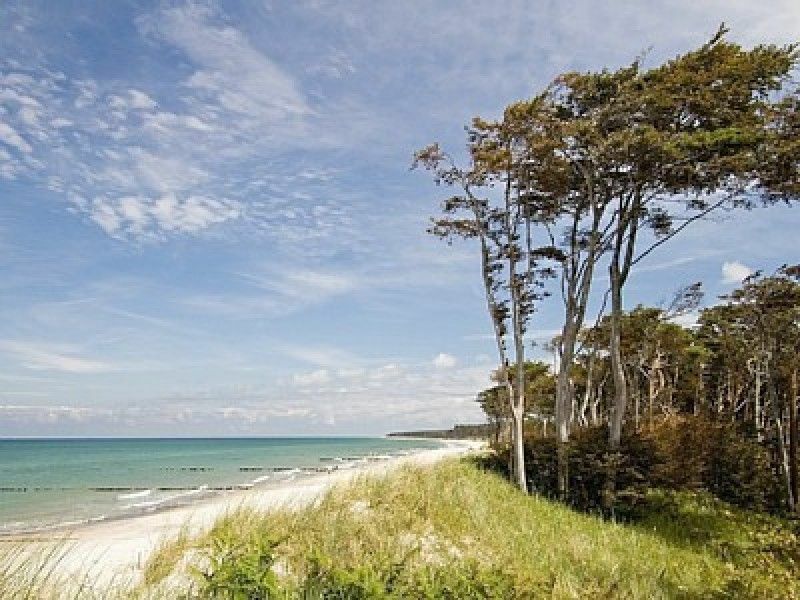 In only about 10 minutes walk you reach the small Baltic resort Baabe. There is a long beach road with many small shops, cafes and restaurants. The house of the guest and also the information pavilion are the starting and information point for many activities and leisure activities ??th. An extensive spa program completes the range of services. Bring your bike or rent one on site. Rügen has beautiful bike paths, some of which lead directly along the sea. On the long beach promenade you can walk wonderfully. To Göhren it is only about 10 minutes.